When it comes to slot machines, there is one name that excites diehard players more than most: BetSoft. This slot developer has made a name for themselves by creating some of the most advanced and exciting real money online slots on the market, slots that simply have to be seen to be believed. In this article we’ll take a look at this developer and at everything they have created. We will also tell you where you can find the best BetSoft slot and the best BetSoft table games, as well as information on how you can get the most out of them. BetSoft create 3D slots, and are the only gaming developer out there that ensures all of their new releases are in 3D. 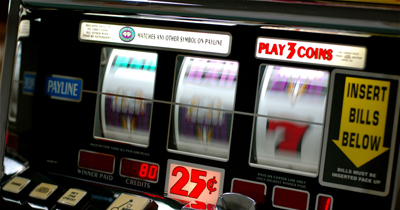 This means that their slots look and play more like video games than simple slots, which in turns means they are often more in demand than anything else the other developers create. They also create a number of table games, which are produced to the same high standard. Despite their popularity, BetSoft titles are actually very hard to come across. They tend to license themselves to casinos looking for complete software packages, but unlike the likes of Microgaming and Playtech based casinos, who do the same thing, they simply do not have the number of games needed for this. This means that whilst all players want to play BetSoft titles, few of them get a chance to. Still, there are online casinos out there that have BetSoft games, and we have reviewed the best and the worst of these. 1. 2005 - Although they are often considered to be a new developer, BetSoft have actually been around since 2005, which makes them one of the oldest ones. Net Ent, Microgaming and others still have a few years on them, but BetSoft have been around long enough to understand how this industry works. 2. Support - They may offer one of the smallest packages for online casinos, but one of the reasons they are still popular is because they offer around the clock support and some of the easiest integration around. 3. Audited - They employ some of the strictest regulations of any casino software developer, ensuring that their Random Number Generators are fair at all times. Based on the classic novel of the same name, this beautifully rendered title is a work of art and is easily one of the best BetSoft games we have ever played. It combines some unique methods of unlocking bonus rounds, as well as some unique bonus rounds, all of which make Dr. Jekyll & Mr. Hyde our favorite BetSoft title. This is your chance to play lead in a rock band, as Rockstar is a BetSoft title that puts you center stage. This is one of their older titles, but it is just as stunning as their other games and there is a lot of great features to unlock as well, including one where a Slash-style rocker comes out and riffs right there on the reels. This developer seem to have an obsession with classic stories, and they also have a knack of turning them into amazing slots. Like Dr. Jekyll & Mr. Hyde, A Christmas Carol is great to look at, and there is also a big wild feature, a free spins feature and an advanced, 3D bonus round. This is a very amusing slot, and one with several bonus features. These include a main feature where you have to put slot machines into businesses owned by the Slotfather, and one that involves a machine gun and a suitcase full of cash. It is a fun take on popular gangster movies, and one that has been created to BetSoft’s high visual standards. Take a trip to the movies to watch the stars of the silver screen. This BetSoft title is a little simpler than the others, but it is just as exciting and there are just as many features on offer. The RTP is strong, the variance is high, and overall At the Movies is a slot that you will not want to miss. This is one of the best looking virtual online games of real money roulette we have ever seen, and with a strong house edge and a nice range of bets, it’s also great fun to play. This is ideal whether you’re a diehard roulette player, or are just looking to kill a few hours and risk a few dollars. A great game that is becoming very popular in online casinos, the Red Dog game on the BetSoft software is easily the best looking we have seen, and it is also one of the best to play. What’s more, the betting is a little more complicated and goes the extra mile. Combining skill with strategy, this is a great alternative to poker if you’re looking to use your brain and your intuition to set you on a path to a big win. What’s more, as this is a BetSoft game, it is breathtakingly beautiful. This is a popular variant of real money online blackjack that is often played in Europe. The house edge is typically a little higher in Pontoon, but only when compared to the classic rules of blackjack, which are very rarely played these days anyway. This is probably not a game that professional blackjack players will enjoy, but it’s one for amateurs and for those seeking a fun variant. Using the Punto Banco variant of this hugely popular and historic game (a luck-based variant that has become synonymous with baccarat), BetSoft Baccarat is probably the best looking game of baccarat you will ever play. It is polished, and includes all of the typical features that make this game so popular. It also offers some decent wins, with a very respectable payout, and one that trumps the baccarat titles offered by the bigger casinos and the more well known baccarat variants. It's very rare that we will say this, but there are very few BetSoft titles that are not fantastic. They put a lot of effort into their slots and table games and very rarely do they release games just to make up the numbers. Their video poker games are not as graphically advanced as their other titles, but these are still fun to play. In terms of slots that do not use the 3D graphics that they are famous for, and slots that are not as fun as their newer titles, we would probably pick out Pharaoh King and Royal Reels, two games that are simply not on par with the others. From their slots to their table games, everything that this developer creates these days is absolutely stunning, a step above anything else on the market. BetSoft don’t just settle on great graphics and also do all that they can to make their games unique and to ensure they always standout from the crowd. Although BetSoft titles look like they require much more processing power and much more from your graphics card, BetSoft do their best to ensure that their games can be played by as many people as possible. This means that even if you use integrated graphics and a weak processor, you shouldn’t have any issues playing BetSoft titles. BetSoft do not create as many games as other, more well-known developers such as Playtech and Microgaming, and this is a bit of a downer if you like to play the field. Whilst their new games can be breathtaking, the same doesn't apply to their classic range, which is a little disappointing in comparison. Most casino software developers will create dozens of variants of popular games, and you can find all types of roulette, poker and blackjack titles on their list of games. On BetSoft, however, this is simply not the case. They often release just 1 or 2 variants of even the most popular games, and while these games are great fun to play and offer a lot even to experienced players, some of us would prefer a little more variety. Can I Play BetSoft on my Mac? BetSoft is available on most popular platforms and you shouldn’t have any issues in that regard. You may not always be able to download the casino software (although this should be possible both on the Mac and on the Windows operating system) but if that is the case, then simply play it through your web browser. Providing you use one of the more popular browsers, including Google Chrome and Internet Explorer, then you shouldn’t have any issue in that regard. Can I Play BetSoft on my Mobile? BetSoft are actually one of the leaders when it comes to mobile gambling, and all of their newest titles can be played on mobile devices. When you consider that the mobile market is now growing at a phenomenal rate, and that there are currently more mobile users than there are desktop users, this makes perfect sense. You might have an issue if you are trying to play some of their older slots and table games on your mobile device, but those issues should not be present if you are looking to play their newer games. Are There any BetSoft Casinos Available in the US? BetSoft is not as widely available as software like Playtech and Microgaming, but there are still a great number of casinos out there that use their software. It is common for US casinos to avoid the major brands, so you might struggle to find one that uses the BetSoft software. However, they do exist. Before you gamble in the United States, you should alway consult your state and local laws to make sure that it is legal, or that you are at least exploiting a loophole. This will be the case with many online casinos, as they tend to be regulated outside of the US which allows them to offer their services inside the US, but some of them are best avoided. It is very safe. They use the latest in encryption technology to guarantee this, and they also work closely with their licensees (the online casinos themselves) to ensure that everything is as it should be. Safety is a primary concern for all gambling software developers, because if anything goes wrong, it could easily come back to haunt them. Because of this, they employ teams of safety consultants and also work closely with auditors and regulators, keeping everything ship-shape and eliminating any potential downfalls. The auditors that BetSoft employs keep everything in check. They run regular checks on the Random Number Generators, which can be found in all of their slot machines and their table games. These are automatic algorithms that are activated every time you press “Spin”, “Deal”, or “Play”. Basically, they run complex calculations at random, before arriving at a number that defines the resulting action. To put it in simple terms, think of an RNG like a book, with each word in that book defining a different action (from “Jackpot” to “Lose”). Once activated, that book is opened at a random page and a random word is selected, with the corresponding action then taking place. These RNGs are more or less infallible, but they are checked constantly anyway, and the individual casinos that license the BetSoft software also tend to run regular checks on these systems. As for the house edge, they use one of the lowest average house edges of any software developer. This means that whilst the house is always ahead, it only takes a little luck to overcome that advantage and to get a decent payout. 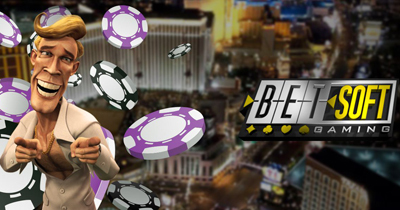 The BetSoft name is synonymous with beauty in the world of online gambling, and it deserves that label. If you prefer old-school slots and are focused more on simplicity than anything else, then they might not be for you, but for the rest of us, it doesn’t get much better than a BetSoft 3D slot machine.